Sun is 6th house is called Ripu Hanta, Shatru hanta and Shatari. So one conquers his enemies. A friend of friends who will reduce himself to penury to save him. Bad for maternal uncle and his family. One meats with accidents with cows, buffalos etc. sharp horned animals, robbers etc. 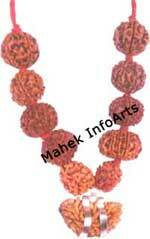 Here Sun is powerful shatru nashak. One is glutton, very passionate, strong, gentle and like a king, general or Judge. Generally weak constitution but if aspected by benefics, health will improve but needs to be safe guarded. In business, one will gain when he will associate himself with a partner. Normally it is believed thaSun in 6th house is Bad. Many Savants considers Sun in 6th is benefic, because a bad or dushthansa house is posited with malefic planet Sun. 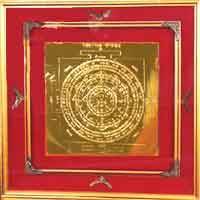 Satyacharya says that Sun in 6th protects one from enemies, from Sickness, sorrows and debts. Our experience indicates that it positively destroys enemies. Other aspects depends on sign of 6th house, aspects of other planet and on the condition of 6th house lord, which will indicate favourable or otherwise. Normally when good, Sun makes one rich, handsome, healthy, conqueror of enemies, wise, helpful to others and builds property. Good aspect of, Mars , Jupiter Venus gives good health, gain through subordinates, servants, success, promotion and fortunate. Social worker and famous. If Sun is in feminine signs it indicates pleasures, passions and purity of character. If in Masculine signs, gives state recognition, status, one is arrogant, short tempered and glutton. One quarrels with superiors, subordinates are not sincere but are dishonest. When afflicted in fixed signs causes quinsy, bronchitis, asthma, diphtheria, heart trouble and nervous disorders. If afflicted in common signs, one has incurable diseases. 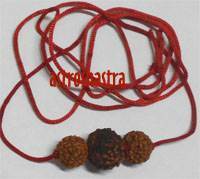 Afflicted in Cardinal signs, develops functional derangements, Rheumatism or permanent injury. Afflicted sun gives bad results ofsixth house.